SI- In an interview with former NBA player Al Harrington, ex-NBA commissioner David Stern said he is in favor of removing marijuana from the league’s list of banned substances. Stern, who served as commissioner from 1984-2014, said his policies were appropriate at the time. “Some of our players came to us and said [players] were high coming into the game, so we began tightening it up,” he said. Big words from the former NBA commissioner in regards to one of the (assumed) most frequent used banned substances in the NBA. I have to imagine that during the next CBA, this will be a highly debated topic as it is becoming legalized across the United States. It makes sense to not have something that is legal to use be a banned substance in the NBA. It always blows my mind how these athletes — not so much the NBA lately — can’t just wait until they are out of the league (see: Josh Gordon, Justin Blackmon) before they start up the drug habits. It makes huge sense here to just remove it from the list and avoid the problem altogether. The big stand-out from this article was Al Harrington saying that he believes over 70 percent of athletes in major sports smoke marijuana. Obviously, we take Al Harrington’s word with a grain of salt but that is an absurdly high number to roll out into the public. We knew the major sports leagues’ drug testing is sub-par at best but give me a break. It’ll be interesting to see if Silver has any reaction to what his old commissioner says especially considering Stern could have easily taken this path when he was in office. 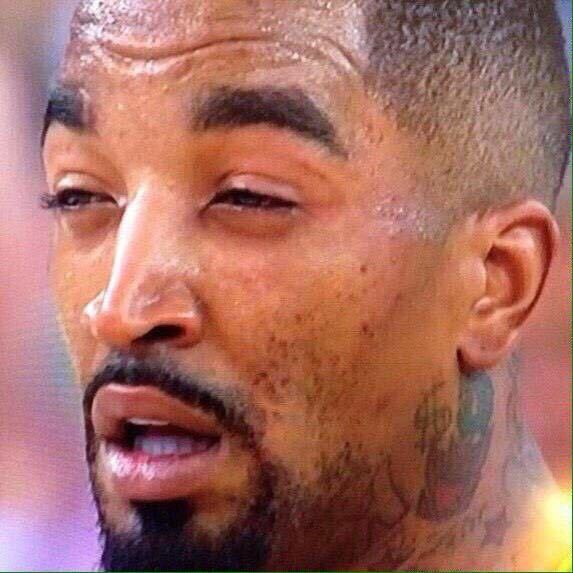 Meanwhile, JR Smith still has no idea it’s banned.